In today’s world, carrying a licensed gun is a necessity especially if it will ensure your safety from threats and criminal activities. Concealed carry accessories are, therefore, vital components to add to your arsenal collection particularly IWB gun belts. The best gun belts for IWB are always about professional concealed carry preferences and practical functionality. You can look and feel good about carrying your weapon and making sure that it stays discreetly hidden and secured at all times. Gun holsters are not enough and oftentimes useless if you don’t have the matching gun belt to keep it in place. 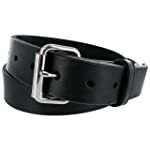 You can find a wide range of gun belts that are designed for inside the waistband holsters and other related accessories. You need a conceal carry gun belt that not only looks good and conceals your pistol with efficiency. The most important thing about IWB gun belts is the durability of the item so that it could last for years, no matter how frequently and harshly you use the item. Carefully consider the materials used for the construction because they mainly determine how durable and flexible the gun belt is. El Original Tejas Gun Belt (Magpul Industries Corporation). The leather gun belt is the flagship model from the Magpul Company, earning its “El Original” title in the prestigious Texas-inspired gun belts. The construction is composed of the industry-grade exterior layers from bull-hide leather and the reinforced polymer interiors for support and flexibility. Ultimate Premium Leather Gun Belt (Relentless Tactical). Unlike the El Original Tejas Gun Belt model with no indicated warranty protection, this gun belt from Relentless Tactical comes with a lifetime warranty. The handmade belt is made from 14-ounce premium full grain leather offering discrete everyday concealed carry use with a strong and durable guarantee. CCW Leather Gun Belt (Hanks Belt). The thick and durable 100% full grain one-piece leather belt ensure no fillers and low-grade materials in its overall construction. It is a durable and long-lasting IWB gun belt that is 100% American-made with superior Amish craftsmanship, something that is not featured on both the El Original Tejas Gun Belt and Ultimate Premium Leather Gun Belt models. It offers no breakage guarantee and a remarkable 100 years warranty protection. You want a great gun belt for IWB but you have a limited budget for the purchase. If that’s your only concern, then our top 3 selections are fully equipped with the most modern and advanced technology with price ranges that suit different budgets. You need to remember that the cheapest does not necessarily offer the best results but there are also expensive models that have lesser standards than expected. So what exactly is the best choice in terms of value for money? Check the gun belt with reasonably affordable price and commercial-grade quality at the same time. CCW Leather Gun Belt (Hanks Belt). 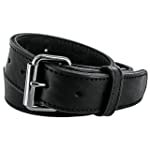 The lowest in our price scale is this gun belt accessory by Hanks Belt. Do not be fooled though because the low price doesn’t mean it also has low standards. 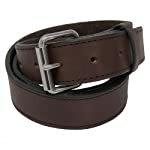 The impressive quality of the gun belt makes it a great value for your money. It is a solid belt that securely anchors and handles your holster, boosting your firearm access in a barely-there result. Ultimate Premium Leather Gun Belt (Relentless Tactical). The mid-range gun belt for IWB has a slightly higher rate compared to the CCW Leather Gun Belt model. The handmade belt is a great pick for its reasonable price and its top-notch quality that showcases no bend, no sag, and no stretch design. The gun belt model also works for open carry functions. El Original Tejas Gun Belt (Magpul Industries Corporation). With the most expensive rate than our Ultimate Premium Leather Gun Belt and CCW Leather Gun Belt models, the original Texas gun belt by Magpul is fully equipped with industry-grade materials for long-lasting use and the advanced conceal carry weapon technology to keep your firearms safe and secured through boosting the holster’s adjustability and mounting. The quality of the IWB gun belt is usually seen in its design and overall performance. When you’re looking for the best gun belts for your IWB holster, make sure that you consider the design, particularly its adjustability and functions that influence how it performs in various demands and conditions. CCW Leather Gun Belt (Hanks Belt). The CCW gun belt highlights the premium quality leather with a vegetable-tanned design for a heavy-duty performance. You’ll love the Chicago screws and removable buckle as its additional accessories, offering great adjustability for the height and weapon access. El Original Tejas Gun Belt (Magpul Industries Corporation). The Texas-made leather gun belt is made from premium quality bull-hide leather which is different from the full grain one-piece leather in the CCW Leather Gun Belt construction. The rigid IWB gun belt also showcases the toughness and rigidity to keep your weapon secure and in place while maintaining comfort through its sag-free and stretchable performance. Ultimate Premium Leather Gun Belt (Relentless Tactical). Unlike the El Original Tejas Gun Belt model, this leather belt does not stretch but it does offer a strong and secure platform for both OWB and IWB holsters. It is made from stylish leather with multiple piece laminations for flexibility and durability in one, something that the CCW Leather Gun Belt model doesn’t feature. It’s not easy to conceal carry your weapon especially if you don’t have the right accessories to keep it in place and ensure your comfort all the time. The best gun belts for IWB holsters are those that have the best design, materials, construction, and durability while offering the best performance. One gun belt model may be the best for you but it is not the one that another weapon enthusiast is looking for. So based on our review and rating, what exactly is the best pick among our selection of the best gun belts for IWB? We highly recommend Ultimate Premium Leather Gun Belt (Relentless Tactical) given its highest scores in Design, Overall Performance, Construction, and Durability. It also scores above average for the best value for your money, given its mid-range pricing.